vicodin drug contraindications with viagra Sulara has dedicated her life to helping others achieve balance and freedom from dis-ease in body, mind, and spirit through her channeled readings and healing work. A clairaudient, she channels the messages directly from your own Higher Self and guides and angels, assisting you in aligning with your path of light and in realizing your highest and greatest potential. http://jeffreydavidburgess.com/?x=viagra-professional-from-online-drugstore-uk She has published Messages from Mathias under the name Robin James, as well as her memoirs entitled The Magic of Dreams and Spirit Guides and the sequel, Circle of Teran. Her four-volume publication Keys for Creating Your Life was channeled with her son Teran and is a valuable guide for young people and those of all ages who would like to live a life of joy and change the consciousness of the planet through the power of Love. 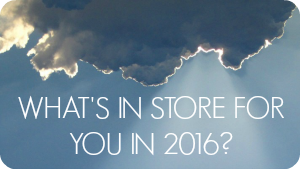 Sulara’s most recent book is Pearls of Wisdom from Spirit, a collection of inspirational excerpts from her readings. 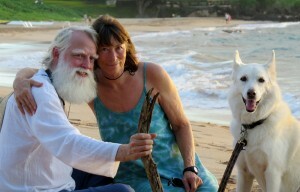 source url Sulara lives with her husband Genesis in Maui. To contact Sulara for healing work or to request a reading in person or long distance, e-mail her at sulara@shininghand.com. I answered with an emphatic “No!” She told me that while the name Robin was a “nice” name, it no longer fit my vibration. At the time, my husband and I were in the middle of 6 years and 13 hearings to challenge a neighbor and the county in our attempt to change an unconstitutional land use law involving the use of the spiritual retreat center we had been guided by Spirit to build. 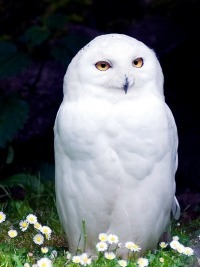 When I went home I looked up the names of different owls. 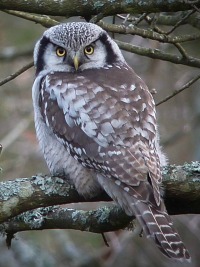 While one of my main guides is the Great While Owl, I felt drawn to the name for the Northern Hawk Owl, Surnia Ulula. Writing down Surnia Ulula followed by Alara, I immediately knew and felt a resonance with my new spirit name Sulara.